Brian Gower returns with another thought provoking article. As we reach the halfway point in the Premier League, we should take time to reflect on the facts of Fulham’s disappointing start to the season and look forward to what the fans can expect for the remaining 19 matches. There is no doubt Fulham fans hold Jokanovic very close to their hearts for the amazing second half of last season when against all odds, the team managed to reach the Championship Play-Off Final at Wembley. With Tom Cairney’s brilliant finish and a very impressive display from the whole side, they ran out worthy winners against a strong Aston Villa team 1-0. Time moves on quickly, and Fulham soon found themselves close to the new season with a team of very good Championship players, but lacking the quality needed overall to compete in the much tougher EPL. With much haste, over £100m was spent on almost a whole team of new players including loan deals. On paper, many supporters and the majority of football journalists were shocked at the money invested but were quick to predict a top half finish for Fulham in their first year back in the top flight for 4 years. A very tough start was soon upon Fulham with a home local derby against a well organised Crystal Palace side, managed by the home team’s fans hero at the Cottage, Roy Hodgson, a tactical genius with great skills in organising strong defensive systems. Palace ran out winners 2-0, deservedly so. Next up another extremely difficult game, away to Spurs at Wembley. Fulham managed to get their first goal of the new campaign, but it was all too easy for Tottenham with a 3-1 victory. 2 games gone and 2 defeats. 1 goal scored and 5 conceded. Next up was a home game against Sean Dyche’s Burnley. They had built up a reputation of being hard to beat, but Fulham, at last started to show some of their previous season’s form with a 4-2 win. Things were now looking up with a short trip to the south coast against Brighton. The seagulls have established their place in the EPL duly down to their fine form at home. Fulham looked lively and full of confidence from the start and deserved their 2-0 lead. What was to happen next seemed to be the start of the end of Jokanovic’s position with the club, as they squandered the lead and allowed Brighton to pull back the two goals and came away with just a point. It was now 4 games in, one win, 1 draw and 2 defeats. The goal difference not too bad at minus 2, but the alarming fact being the shipping of 9 goals. Unfortunately for Fulham, this trend of giving goals away just got far worse. Over the next 8 matches, they scored only 4 times but managed to let a further 22 goals in. Fulham stood bottom of the table with a tally of just 5 points on the board from Jokanovic’s first 12 games, with a total of 31 goals conceded, with only 11 scored. It was time for the board to make a change. No Fulham fan should forget the brilliant time Jokanovic brought to the Cottagers and will always remember him very highly. It can be argued that he had little say in the choosing of any players brought in with that large spend, but this is the case many managers have to live with in today’s footballing life. He swapped and changed the personnel from game to game, never reaching a decision on the best defensive line-up, or goalkeeper for quite a while. His style of football would have been great to continue with, but Fulham did not have the players necessary to play such a possession-based game. In came one of the best managers that Fulham could have hoped for. A man that took little Leicester City to winners of the Premier League, and lots of experience at many top overseas clubs. The defence was first on the agenda. Choose your best goalkeeper, and he soon went for Rico. Then look at what the team has in the defensive department. He must have realised quickly that this was an area needing drastic improvement. Tinkering around, with the players at his disposal, he had to stop the barrage of defensive errors. This took the step of using a 5-man defensive system. To date, after the Wolves game on Boxing Day, Ranieri had managed to accumulate 6 points from 7 games. That was more than Fulham reached under all 12 games with Jokanovic. The defence now looks more cohesive, but the team are far from where they need to be to stave off relegation. More attacking and goalscoring is needed. Mitrovic needs more help up front, a good attacking midfielder, more players that can run without the ball, and another central defender or two. 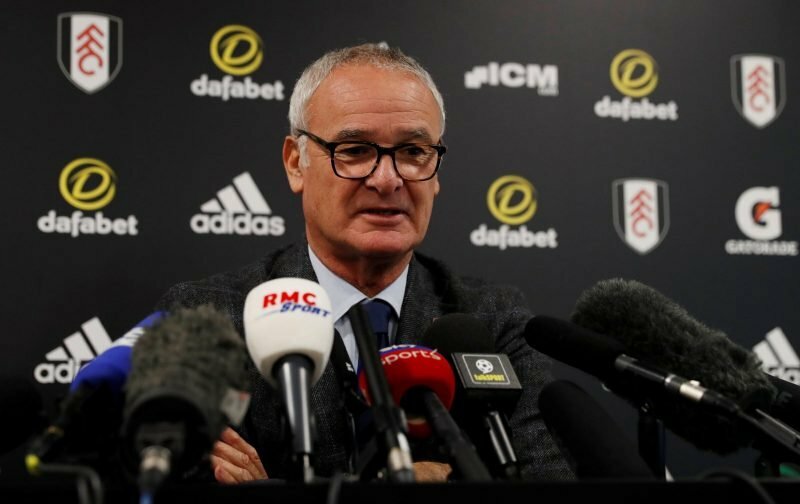 Fulham did it last season, although it was the Championship, but Ranieri, given the chance to strengthen, is the right man at the helm to steer the team above three other struggling sides and become another hero at Craven Cottage.